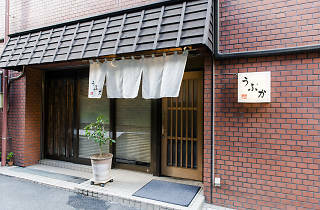 For fans of seafood, this tiny Arakicho restaurant has become a place of pilgrimage. 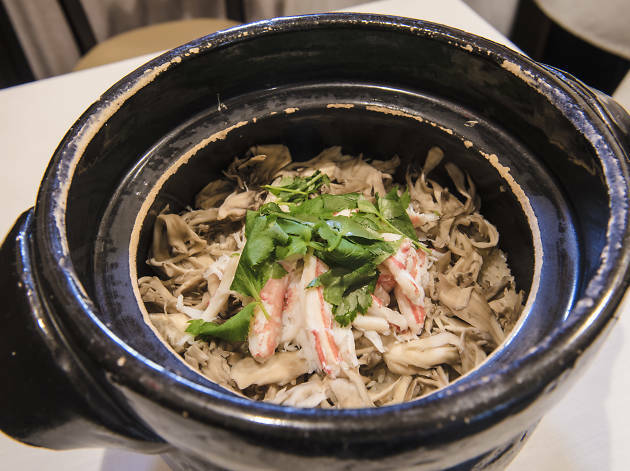 It’s almost impossible to get a seat without booking months in advance, and that’s because Chef Kato – who regularly works 100+ hour weeks in his pursuit of perfection – does magical things with crabs and prawns. 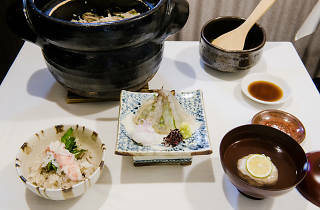 The latter, prepared as sashimi, is extraordinary: the crustaceans from Yamaguchi prefecture, which are kept alive until the last possible moment, glimmer translucently on the ceramic tableware and are accompanied by octopus sashimi and wasabi. 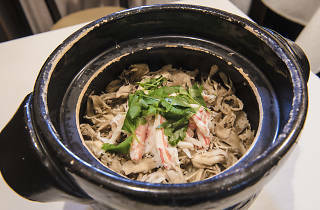 His crab cakes, livened up by citrus fruit and a fragrant seaweed broth, are equally subtle and complex in flavour. 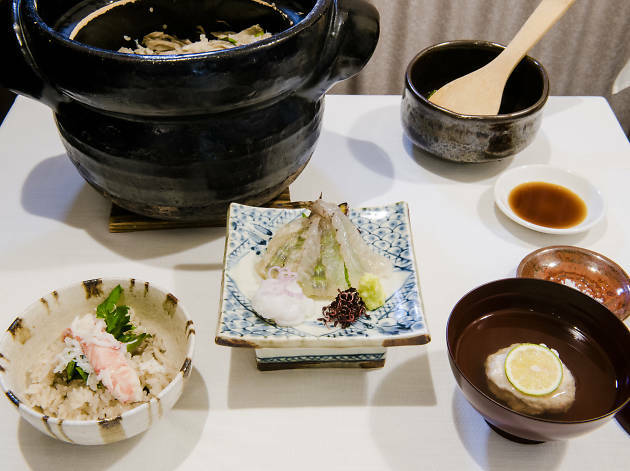 Ubuka’s favourite autumn dish is a hearty, uplifting rice dish featuring mushrooms, onions and fresh Kyushu prawns. 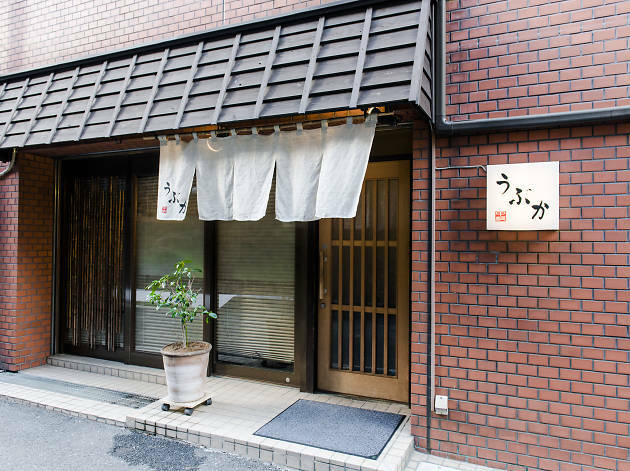 There’s no à la carte menu, just a ¥8,800 per person tasting menu which changes with the seasons and typically consists of ten courses including dessert. 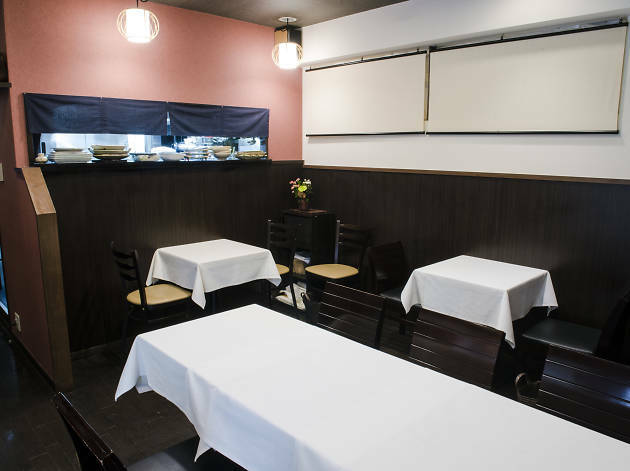 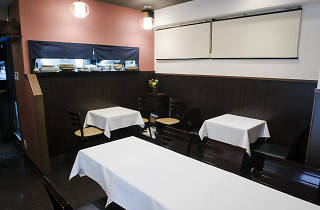 There’s little in the way of décor; it’s a plain, dimly-lit room with a rather dour brown and beige colour scheme, but it hardly matters – the food is the reason people come here, and it’s usually brilliant.